For many people, life insurance is a nonnegotiable expense. It might be an extra bill to pay each month, but it provides peace of mind as you navigate life. This is especially true for anyone who has parents who rely on them, a spouse who is financially dependent or children who require care and attention. When investigating life insurance policies, most people forget all about the offshore options. Although offshore investments are rapidly gaining popularity as a wealth-diversification tool, fewer investors are aware of the option of offshore planning services. Discover the benefits of offshore life insurance to find out if it might be suitable for you, your future and the protection of your loved ones. One of the big concerns of those planning to choose a life insurance policy offshore is that they will be limited to just a handful of policy options. Thankfully, that simply isn't the case. 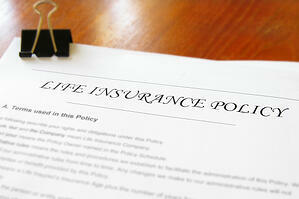 Just as if you were choosing a policy in the United States, you will have life insurance options offshore. Some of the most popular choices include that of term life insurance, variable universal whole life insurance and standard whole life insurance. You still have the opportunity to choose a plan, or combination of plans, that protects your assets and your loved ones. When you take out a traditional life insurance policy with a major provider in the United States, you very often have minimal control over the investment once your check gets cashed. You simply make an investment, and your heirs or trustees will reap the theoretical future payments in the event that they are needed. By investing in an offshore life insurance policy, however, you may be able to take a more important role in determining how the capital gets invested. If your investments are successful, you will have more money to leave behind to your family. As you might be able to imagine, the costs of running a financial institute at many international locations are cheaper than in the United States. Staff salaries are lower, and overhead costs in general for things like utilities and rent are also lower. These reduced costs mean that you can pay less for policy maintenance through an offshore corporation than through a domestic one. If you are getting ready to purchase life insurance, make sure that you choose a policy that meets your family's interest.